Your posture is not just a pose that your body exhibits. It is very much related to health. The way you stand or sit, it really matters to define your wellness. If your posture is bad, it can lead to neck pain. 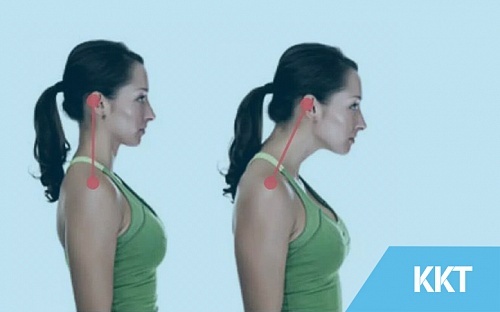 Let’s see which sorts of posture can trigger your neck pain. Prolonged slouching sitting position is bad for both your back and neck. This is because it puts pressure on head which eventually compresses vulnerable and small neck joints. The size of these joints is very small due to which it does not take time to be compressed. Try reversing this posture. Keep your back straight. Stand up after every 30 minutes so that negative effects of slouching may not affect your neck. Continuous practice can keep you safe from neck pain. Leaning on one leg for longer period of time is the agony for multiple parts of your body. Your pelvis, your spine and hence your neck is stressed. Shoulder is dropped on one side and cervical spine bends. The best way is to place even weight on both legs while standing. The most common posture mistake or maybe the most modern one! Yes, it is quite common because of the excessive use of technological devices like smartphones. In order to look at the mobile screen, your head is bent forward for longer period of time which puts stress on neck. Try to keep the device at eye-level. Because of sitting down all day, looking at your system or driving for longer time, your posture can adopt this rounded shoulder style! It is as painful as it sounds. In this posture, your shoulder is moved forward from actual alignment. This affects your neck, shoulders and spine. If you are told to keep your back straight, it doesn’t means that you have to disturb the natural curve of spine. Tucking in your pelvis causes your to stoop forward. Never let this posture to elevate your neck pain. When you are sitting low with a hunched back, you are actually developing poking chin posture. Correcting this posture can also be helpful in improving your sitting habits. Neck pain that is becoming severe with the passage of time and is not being treated by home remedies, needs to be treated immediately! Call KKT Orthopedic Spine Center and book your appointment now!